Melbourne is an amazing, diverse and beautiful destination with scenic views, impressive museums and excellent restaurants. 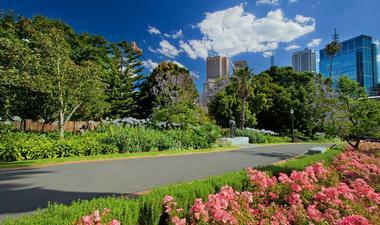 The Royal Botanic Gardens, the Melbourne Zoo and St Kilda Beach are not to be missed. 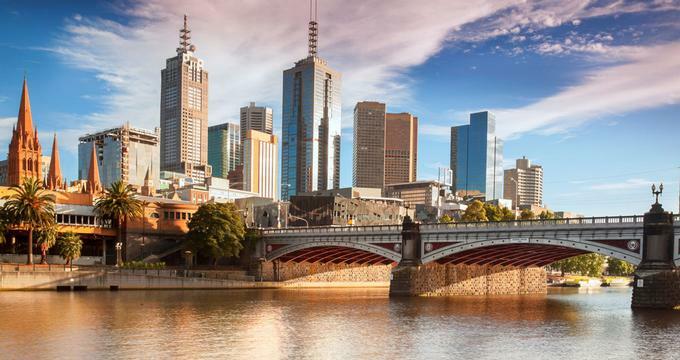 Other top Melbourne attractions include the Australian Centre for the Moving Image, the Werribee Open Range Zoo, the Melbourne Cricket Ground, Degraves Street, the National Gallery of Victoria and the Melbourne Museum. 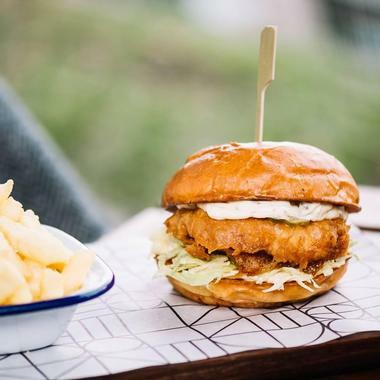 Here are the best things to do in Melbourne, Australia. Located on 11 Nicholson Street in the Carlton Gardens next to the Royal Exhibition Building in downtown Melbourne, the Melbourne Museum is a cultural and natural history museum that was established in 1854. 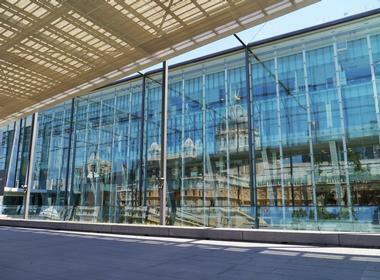 The largest museum in the Southern Hemisphere, the Melbourne Museum consists of seven main galleries as well as a children’s gallery, and the Touring Hall, a gallery that hosts temporary exhibits. There are several theaters in the museum including an IMAX theater, the Age Theater, and the Sidney Myer Amphitheater. The Discovery Center is a public research center, and the museum also offers many education programs. 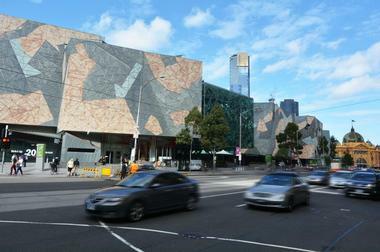 The Melbourne Museum is one of the best things to do in Melbourne, Australia. There is also a cafe and a souvenir shop. Named after Charles and William Degraves, two merchants from Hobart, Tasmania, Degraves Street is a short alley that runs from Flinders Street to Flinders Lane in Melbourne’s central business district. The cobbled bluestone lane is a busy and popular location filled with bars, cafes, and restaurants. In the 1990s, the tall old buildings were transformed into loft style apartments, which added to the vitality of the street. Many of the eateries feature outdoor dining with umbrellas: Degraves Espresso, Andiamo, and Il Tempo are a few of the many places to eat on Degraves Street. 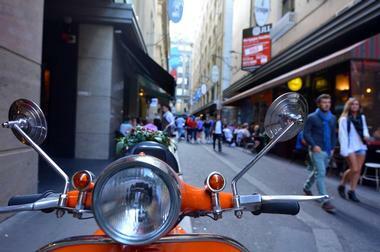 If you are wondering what to do in Melbourne today, this is a great place to start exploring. The Degraves Street Subway and the Platform Artist Group offer underground events and exhibits. 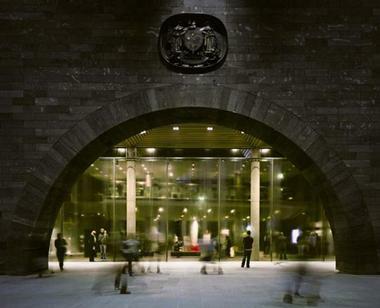 Located on St Kilda Road in the Southbank area of Melbourne, the National Gallery of Victoria, also known as NGV, was founded in 1861 and is the oldest art museum in Australia. Thanks to donations of works of art and generous funds, the museum now houses more than 70,000 works and is one of the top Melbourne attractions. These works represent Australian Aboriginal art and Australian art works from the colonial period to contemporary times. In addition to its large collection, the museum also offers classes, lectures, and special events like music concerts, films, and workshops. The City Circle Tram is a free tram that goes all around downtown Melbourne. You can hop on and off as you please, and simply everyone is using it: shoppers, tourists, office workers, kids, and families. 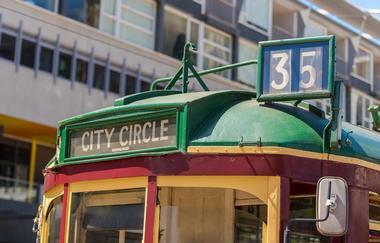 Trams circle their routes every 12 minutes, so you will never have to wait long. Most of the trams are heritage W class modern trams painted green and maroon with gold and yellow trimmings, but you will also see MMTB's traditional standard green W Class trams. If you are wondering what to do in Melbourne, the City Circle Tram goes around Melbourne business district and connects with other trams and trains in the city and its surroundings. If you are on the way to see the Parliament House, the Old Treasury Building, or the Princess Theatre, just take the tram and you’ll be there in no time. Melbourne Gardens are a city oasis with its green sweeping lawns, peaceful lakes, and magnificent trees. The gardens were established in 1846 and now extend over 36 hectares. They are home to a richly diverse collection of more than 50,000 plants from all over the world, a collection that includes some threatened and rare species. Melbourne Gardens host numerous events, tours, picnics, and weddings, and are a favorite spot for Melbourne families to spend the weekend. A popular feature with children is The Ian Potter Foundation Children’s Garden, where they can explore the ruin gardens, wetland area, gorge, bamboo forest, rill, plant tunnel, and kitchen garden. More than one million and a half people visit the Melbourne gardens every year. You can spend your entire Australian vacation just exploring the wildlife. However, if you only have one day, join one of the Echidna Walkabouts. This company has won numerous awards for its conservation efforts, and they want to give you the opportunity to play a small part in preserving the Australian wild. 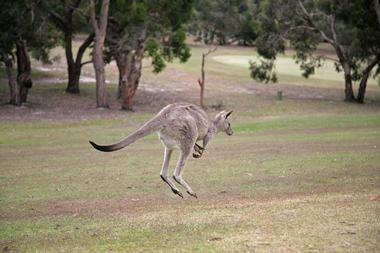 They will take you to the real Australian bush to see and meet wild animals in their natural habitats. Your participation supports their conservation efforts as part of the fee you pay for the tour is used to support koala research and wildlife species protection. Their one-day tour will take you to see koalas and kangaroos in the wild and walk with them in their habitats. 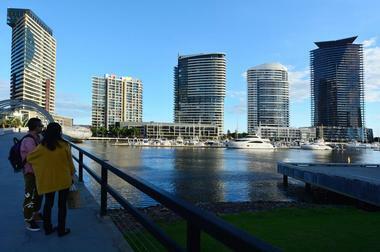 The tours have groups with a maximum of 10 people and are led by a knowledgeable Wildlife Guide (+61-3-96468249). 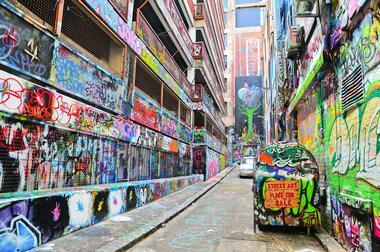 Melbourne is sometimes called the graffiti capital of the world. Wherever you go, whether you look up or down, you will see street art in all its glory. With Melbourne Street Art Tour, your guide, a practicing street artist, will take you on an exploration of this modern urban art media. 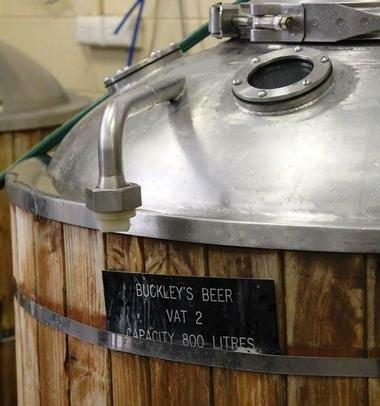 If you love beer and you are over 21, you might want to look into Aussie Brewery Tours. Their knowledgeable guides and beer aficionados will take you on a tour of Victoria’s best beer and cider makers. You will learn about Melbourne and Victoria culture and history and the process of beer making. There are pilsners, pale ales, apple ciders, pear ciders, stouts and porters. You can taste, compare, and learn about them and the people who make them. 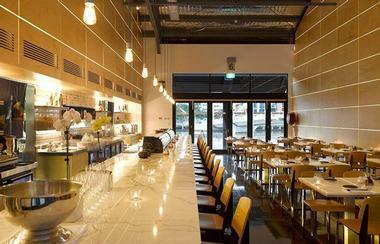 Your guides will also take you to a gourmet lunch in one of Melbourne’s great restaurants. The groups are small, and the company buses are comfortable and air-conditioned (+61-1300-787-039). Pastuso is a modern Peruvian restaurant featuring an excellent grill, a ceviche bar, and tasty pisco cocktails– three things that are distinctly Peruvian. 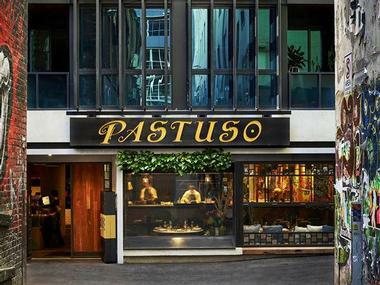 Pastuso is trendy, fun, and colorful bistro-style restaurant located on one of Melbourne’s historic bluestone laneways. 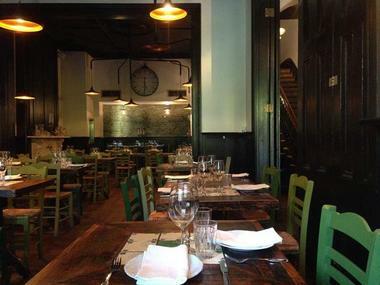 The dining area features a large bar and the pisco is always flowing. If you are looking for romantic date night ideas, Pastuso is a great place to try. Head Chef Alejandro Saravia introduces his guests to the real Peru by serving dishes inspired by his grandmother’s cooking in Lima. To really explore Peruvian cuisine, try the chef’s selection, a dish that includes a bit of everything. Or try one of the Peruvian street foods like Pan con pollo a braza – roasted chicken with red cabbage claw, huacatay mayonnaise, and aji Amarillo in a house bun. Passionate bikers are used to seeing the world from their bikes. When they visit Melbourne, they know that from their bikes they can see more because they can go to areas that are not accessible to cars. 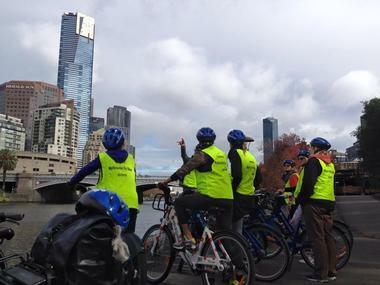 With Melbourne by Bike, patrons get a quality bike, helmet, vest, map, and a knowledgeable guide. You can choose one of three different tours that start in different parts of the city. Tours include the Federation Square tour, which is easily accessible, Port Melbourne – convenient for those arriving by cruise ship; and St Kilda by the beach, if the beach is more appealing to you than the city. The tours last about four hours and take a maximum of eight people, so book early. Located on Brunton Avenue, the Melbourne Cricket Ground (MCG) was established in 1853. It has been the home of Australian football since 1859 and the home of cricket since 1877. MCG was used as the main stadium for the 1956 Olympic Games and the 2006 Commonwealth Games, and it is also the home of the Melbourne Cricket Club and the National Sports Museum. The tour includes visits to the MCG library dating from 1873, the Cricketers’ viewing room, the City Terrace which offers spectacular views of Melbourne’s skyline, and much more. MCG is open every day and 75 minute guided tours are offered between 10:00 am and 3:00 pm daily. MARS, or Melbourne Art Rooms, is a contemporary art gallery in Melbourne, Australia, specializing in showing and promoting contemporary emerging and established Australian as well as international artists and building their careers. 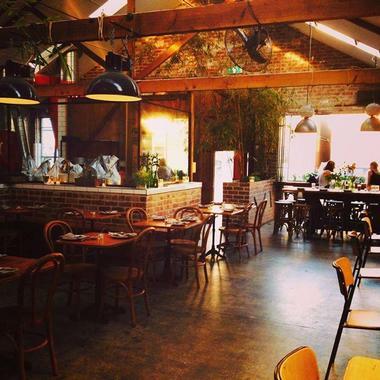 MARS was established in 2004 by Andy Dinan in a converted dairy in Port Melbourne. In 2014 the gallery moved to a new structure built for the gallery in Windsor. The new gallery building was designed with the environment in mind, using recycled wood floors and rainwater harvesting facilities. It has four exhibition areas, among them a black-box gallery for exhibiting contemporary video art. 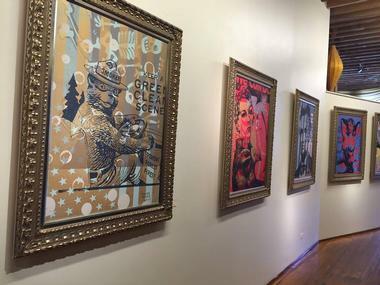 Since the opening, MARS has held over 220 exhibitions representing more than 330 artists. The gallery currently represents about 20 artists, offers public art consultancy, and works with property developers and architects on public art projects. St Kilda Beach, Melbourne’s most famous and popular beach, is located in St Kilda, Port Phillip, just south of downtown Melbourne. It is a long, sandy beach that stretches from St Kilda Harbour to St Kilda Marina. Although it can be windy in this area, the beach is protected from strong ocean currents because of its location at the northeast corner of Port Phillip. Water activities include kite surfing, swimming, and windsurfing. Other things to do include jogging, rollerblading, and walking. Two well-known landmarks on the beach are the St Kilda Pier with its Edwardian era buildings and the St Kilda Sea Baths. There is a small colony of penguins living in the rocks of the breakwater. 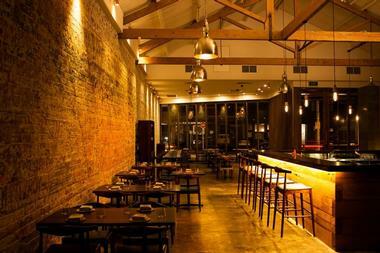 Red Spice Road is a popular South East Asian restaurant located at the end of McKillop Street. It is a spacious restaurant that is authentically and beautifully decorated with large works of Asian art. The main dining room and the patio are casual and welcoming, while the Lotus Room is rather elegant and upscale. The restaurant promotes sharing amongst patrons, which explains the presence of the large communal tables. Executive Chef John McLeay expresses his passion for Asian flavors, spices, and smells through some truly spectacular dishes. Everyone raves about his pork belly with chilli caramel and apple slaw, so you might want to try it as well. Red Spice Road offers a nice wine selection and some excellent beers to wash all the spices down. The Melbourne Zoo is located on Elliott Avenue north of downtown Melbourne. It is home to over 320 different animal species from Australia and from other places around the world. Modeled after the London Zoo, the Melbourne zoo is the oldest zoo in Australia: it opened in 1862. Some of the exhibits include the Asian Rainforest with rare Sumatran tigers, the Australian Outback with emus, kangaroos, and koalas, and Trails of the Elephants with five Asian elephants, among others. The zoo offers many education programs for children, teachers, and youth, including the Career Program, which allows students to spend a day as a vet or animal keeper. The zoo is open every day. Located on the Riverside Quay in the Southbank area of Melbourne, the Eureka Skydeck is an observation deck located on the 88th floor of the Eureka Tower. Opened in 2007, the Eureka Skydeck is the highest public viewing place in a building in the Southern Hemisphere. Visitors have the use of 30 viewfinders to see all of Melbourne’s most celebrated landmarks. Another appealing feature is called “The Edge,” a glass cube that extends out from the building. Visitors can stand on the floor of the cube and look down 984 feet (300 meters) to the ground below. There is also an outside area called “The Terrace.” The Skydeck is open every day. When exploring South Wharf you will inevitably notice a red lantern hanging in front of the Akachochin, a Japanese restaurant situated in an old warehouse that has ben transformed into a surprisingly elegant and stylish venue. With its long marble bar, beautiful view of the water, modern timber chairs, tables decorated with tea candles, and its beautiful view of the water, this casual Japanese restaurant will surely make you feel right at home. The food is traditional and authentically Japanese, and everything on the menu is sublime. Chef Kengo Hiromatsu offers his own take on traditional Japanese dishes without sacrificing integrity. Try his duck appetizer, which is tender grilled and simmered breast of duck seasoned with mirin, soy and ginger, and chunky pieces of confit leg. Don’t miss the opportunity to taste some of the top shelf sake they have at Akachochin. The aroma of chocolate coming from behind a cheery red door on Lygon Street will surely draw you in. Once you enter (because you won’t be able to resist), you will find yourself in the fully functioning, chocolate-churning chocolate factory known as Monsieur Truffe’s Atelier. The gallery-style seating plan of the restaurant allows you to get a look at the chocolate-making machines located behind a glass wall. The décor is simple and tastefully understated, with untreated wood and delicate cherry blossoms and bamboo placed here and there. Located on Flinders Street in downtown Melbourne, the Australian Centre for the Moving Image is a facility dedicated to preserving and exhibiting motion pictures from Australia and from around the world. It was established in 2002 and contains state-of-the-art equipment and facilities. 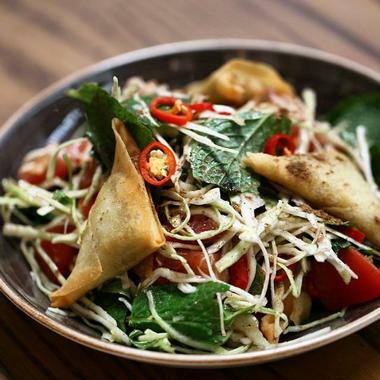 Epocha is located in Montefiore House, a magnificent Victorian terrace near the edge of Melbourne’s CBD, and it overlooks the Carlton Gardens and Royal Exhibition Buildings. The building’s European architecture corresponds with the menu, which consists of traditional European fare and fresh takes on classic favorites. The cuisine, both delicious and wholesome, is reminiscent of comfort food from various European countries. Hidden at the end of Little Collins Street, Bar Lourinhã is a fun, bustling place known for its tapas and wine. The dining room is large and inviting, and the polished wood bar is a particularly popular area. If you are with a date, however, take advantage of the luxurious red leather couches. Executive Chef and co-owner Matt McConnell has brought his love of everything European to Melbourne. You won’t see the influences of just one European country in his dishes; you’ll find influences from all of them, and the result is original and delicious. Try the yellow tail kingfish pancetta or ask your waiter about the special of the day, which is always a special treat. The drinks selection is as eclectic as the dining menu; you will find just about everything at the well-stocked bar. 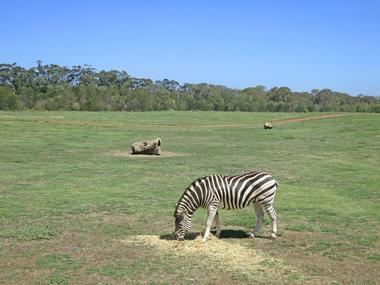 The Werribee Open Range Zoo is located on K Road southwest of downtown Melbourne along the Werribee River in Werribee Park. It is an African themed zoo and is part of the Zoological Parks and Gardens Board. Visitors can take bus tours around the zoo’s 560 acres where they can see camels, giraffes, hippos, rhinos, zebras, and much more. There are two walking trails: the Pula Reserve Walking Trail where visitors see African wildlife and the Australian Journey Walk with Australian animals like kangaroos and koalas. The zoo also has a learning center where visitors can learn about the animals found in the zoo. The zoo is open every day. The Great Ocean Road is a 151-mile (243 km) stretch of road that starts in the city of Torquay, Australia, southwest of Melbourne, and continues along the coastline to the city of Allansford. It was built between 1919 and 1932 and is dedicated to the soldiers who lost their lives during World War I. The Great Ocean Road is on the Australian National Heritage List and boasts several stunning natural landmarks, the most famous of which is the group of limestone rocks jutting up out of the water along the coastline: the Twelve Apostles. 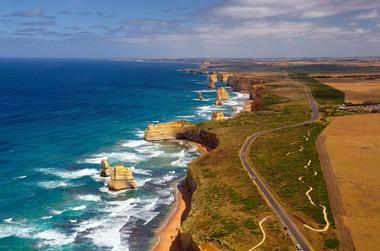 Other popular natural formations include the Grotto, London Arch, and the Loch Ard Gorge.